How many levels does the VIP Lounge have? The VIP Lounge at SlotsMagic has 6 levels. The higher the level you achieve the better the benefits will be for you throughout the month. How do I get into a higher level? You will accumulate VIP points with every wager on all games. At the beginning of every month your VIP Points of the previous month are evaluated and based on your total, you will be assigned a level for the current month. VIP Points are accumulated with every wager on all games and determine which level you will be assigned to each month so that you may receive your monthly benefits. How are VIP Points calculated? VIP Points are accumulated when a player wagers in the Casino. There are different ratios for different games. Click here to see the table. What do I get for reaching a higher level? If you reach a higher level, you will be entitled to all the benefits listed in the Benefits Table. If there is a bonus for reaching that level, you will be able to claim it in the Bonus Area of the Cashier within 3 days. What do I get for maintaining a level? Some levels provide a bonus for maintaining that level each month. This bonus will be claimable in the Bonus Area of the Cashier within 3 days. Don't forget that if you reach the next level you will get an even bigger bonus. What happens if I do not play for a month? You can only drop one level per month. For example, if you are on Platinum Level the lowest level you can be on the following month is Gold. We will always make exceptions for special members so contact us if you have any queries. In which level do I start? Every player starts in level Bronze. When are the levels evaluated? On the 1st of each calendar month, the VIP Points for the previous month are checked and players will be assigned their level for the current month. How many points are necessary to get to Level Platinum? The following table shows the VIP levels and the required monthly points to reach and maintain each Level. What are the rewards for each level? To see what benefits you are eligible for please have a look at our VIP Benefits Table. The benefits for each level are listed there including bonuses for reaching and maintaining a specific level. Where can I see my current VIP Points? Your current points balance is displayed in the Casino lobby next to your Real Money Balance. 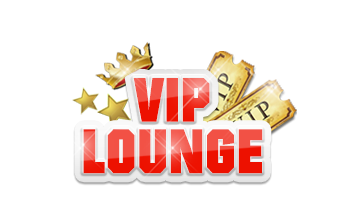 You may find your current VIP Points counter in the VIP section within the Cashier. How can I see which level I am in? You can see your current VIP level in the VIP section within the Cashier. How can I claim a bonus offered to players of a higher level? Bonuses can be claimed only by players of the specific level. If you accumulate enough VIP points in the current month to increase your level, you will then be able to claim better rewards.